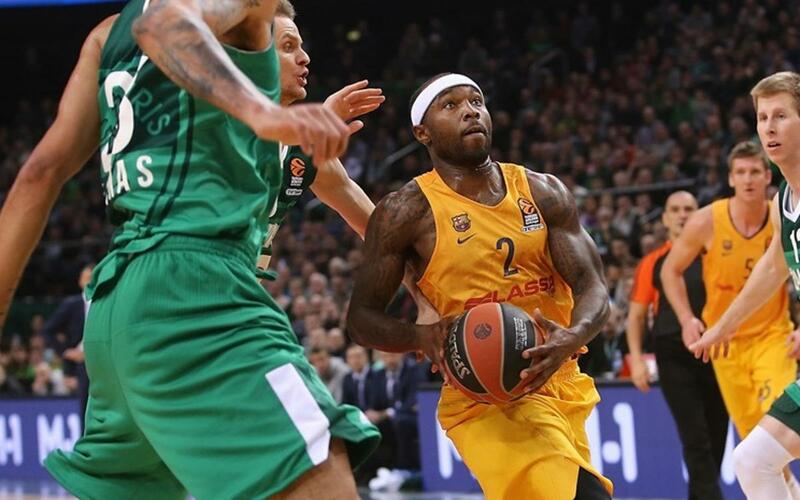 FC Barcelona Lassa suffered a painful defeat at the hands of Zalgiris Kaunas on Thursday evening (89-85) in what was a very even game right until the last moments. Navarro had an excellent game with 17 points for the blaugrana but his efforts were not enough for Barça to get back to winning ways on the road in the Euroleague. With trebles from Rice and Koponen, Barça Lassa began the game on fire, and though they cooled down slightly as the quarter went on, they nevertheless ended it six points ahead (18-24). The second quarter saw a different theme, this time with the hosts having the better spell. They quickly managed to bring the score level largely as a result of Barça’s concession of the ball early on. Navarro carried the team as much as he could with eight points but Zalgiris Kaunas ended the half with their noses in front (39-38). Barça maintained the intensity in the third but the home side were equal to it. There was simply no separating the two teams, as the penultimate quarter ended 61-61. With all to play for in the final quarter, Navarro helped Barça to a six point lead from the off. Kaunas resorted to three-point efforts and were effective, eventually getting ahead on the scoreboard. Barça fought until the end but two misses at the end proved costly as the Lithuanians ran out winners 85-83, as the Catalans fell to their eighth straight Euroleague away defeat.